Back in 2014, when playing Destiny meant listening to a bored Peter Dinklage rattle off incoherent dialogue and meaningless proper nouns, it was hard to imagine that this game might one day do interesting things with narrative. Four and a half years later, here we are. 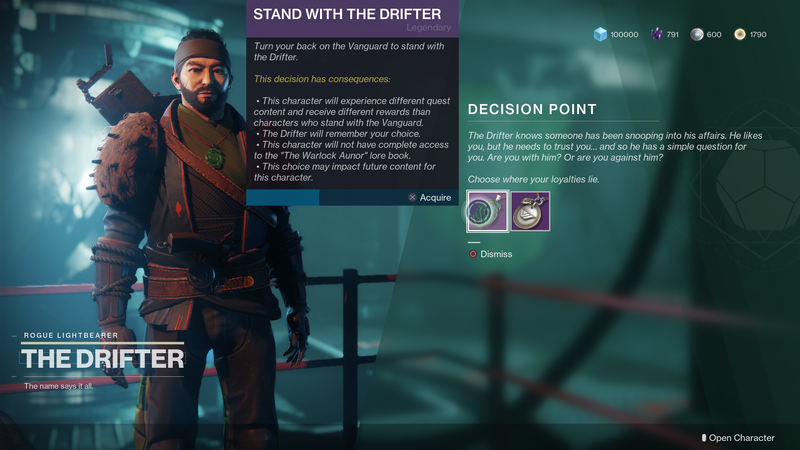 The new Allegiance quest line, which was added to Destiny 2 this week for Annual Pass owners, presents every player with a tough choice. 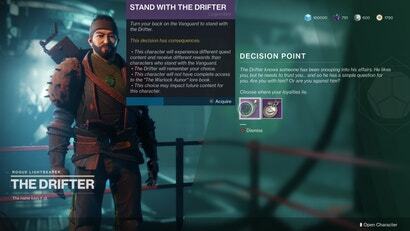 The Drifter, a shady rogue who’s been hanging out in the Tower since September, wants you to work with him against the Vanguard, the stuffy, bureaucratic organisation that every Destiny player has been serving since year one. This is the first time Destiny has ever offered a narrative choice, and that blaring declaration — “This decision has consequences” — has some exciting potential. 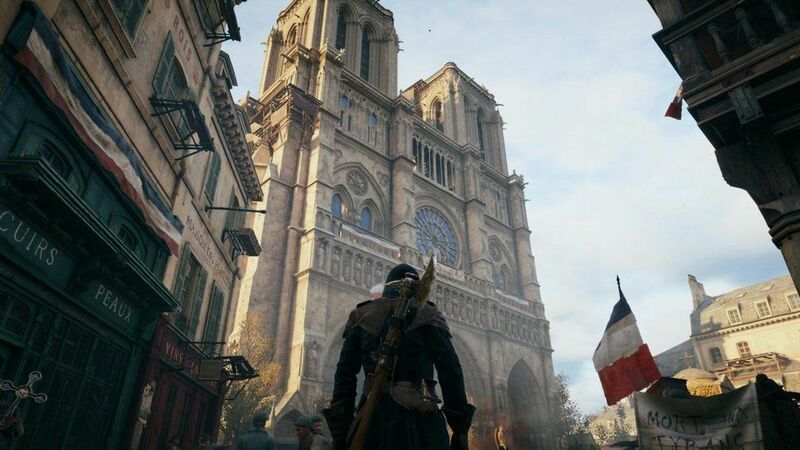 “This choice may impact future content for this character,” the game warns you. But right now, “potential” is all there is. Neither of these Allegiance quests is particularly interesting. 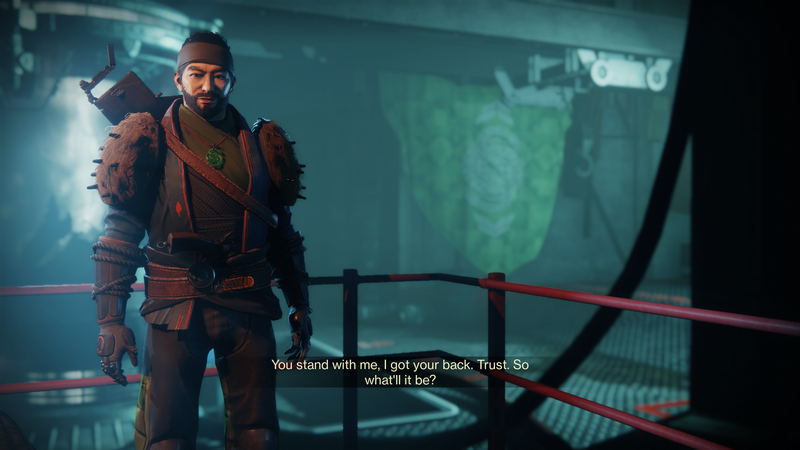 Both of them give you a few story missions and a handful of menial tasks, like “Defeat 25 Guardians” and “Bank 50 motes of light in Gambit.” And they both end with the promise of more to come. It’s that promise that’s exciting. 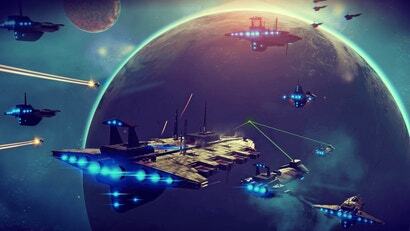 What Destiny fan wouldn’t want to see a world and story that changes based on your choices? Traditional narratives don’t mesh well with games that are designed to last forever, so experiments like this — combined with the ongoing trickle of lore and cutscenes that have been dropping since Forsaken came out last September — might be Destiny’s best shot at a story that resonates with players. So far, the best part of this Allegiance quest is the new flavour dialogue based on who you’ve chosen. 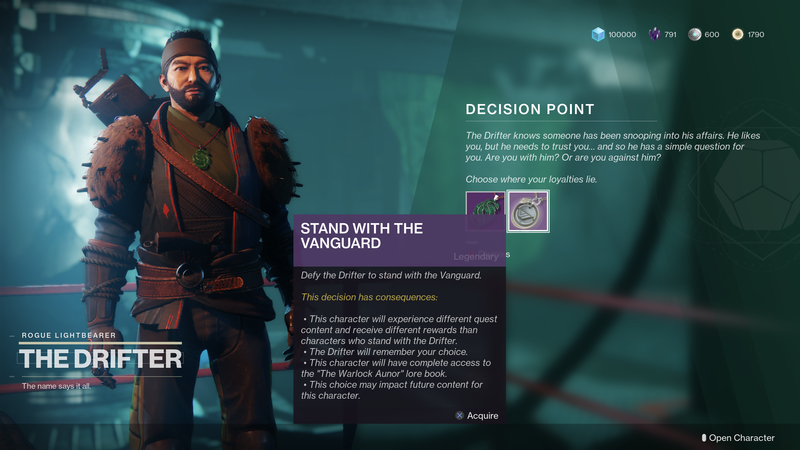 Going with the Drifter leads Shaxx to get mad at you during Crucible matches, while picking the Vanguard will cause Drifter to call you a dirty snitch when you’re playing Gambit. It’s a small touch, but it’s the first time Destiny has made it feel like your choices matter. I want to go with Drifter, but I don't think I have the heart to make Daddy Shaxx mad.